Successful gardens are invariably the product of good design. A well designed garden will have character and it will sit comfortably in its setting. It will meet the practical requirements of those who use it as well as provide beauty and interest throughout the year. I am passionate about good design and I look forward to hearing from you regarding your garden project. Designing a garden requires both practical knowledge and artistic flare. An understanding of materials and construction techniques, as well as a feel for line, shape, colour and texture all come together in creating a successful garden. Designing a garden is informed by the relationship between the designer and the client; a successful design will always meet the client's brief. I have detailed below the various stages of the design process. At our first meeting we can discuss your aspirations for your garden and I can make an initial assessment of your site. How do you intend to use your garden? What style of garden would you like? How much maintenance are you happy to undertake? 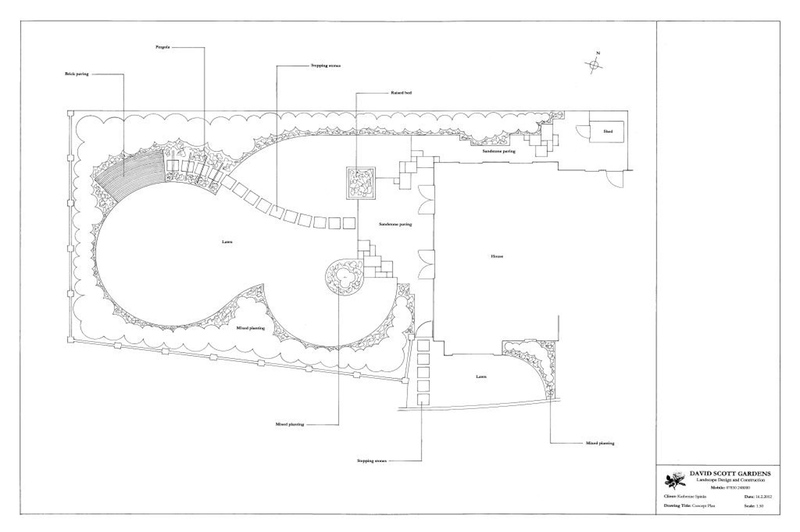 We will work toward drawing up a detailed brief of your requirements for your new garden; and I will then be able to provide you with a clear outline of the fees involved in the design process. Undertake a detailed survey of the site. This will involve recording all measurable elements, such as existing topological and structural features, as well as non measurable elements, such as views out, the impact of neighbouring properties and microclimates. Undertake some simple tests to assess the nature and condition of the soil. Take a series of photographs to facilitate the development of the design. 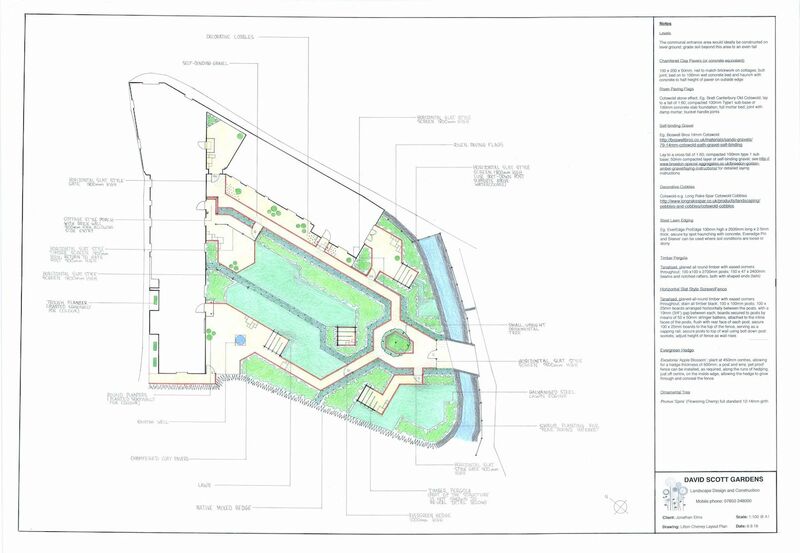 Draw up a base plan of the existing site. 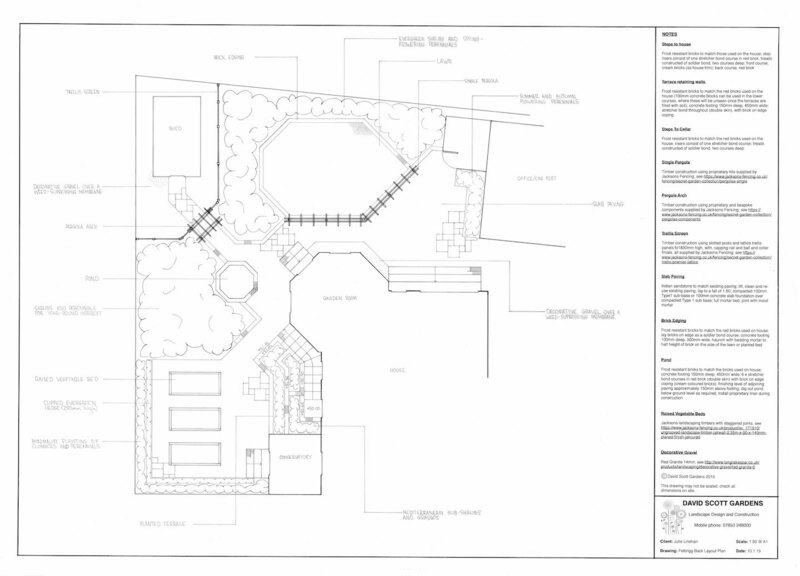 With reference to the client brief, it can be helpful to work up a number of different concept plans, so that the client can visualise different ways of setting out the garden. Develop the preferred concept into a coherent proposal. Produce a setting out plan of the proposed scheme. The drawing will be typically drawn on A1 paper, will be to scale and will detail every significant feature of the design. Devise a planting scheme appropriate to the soil and situation. 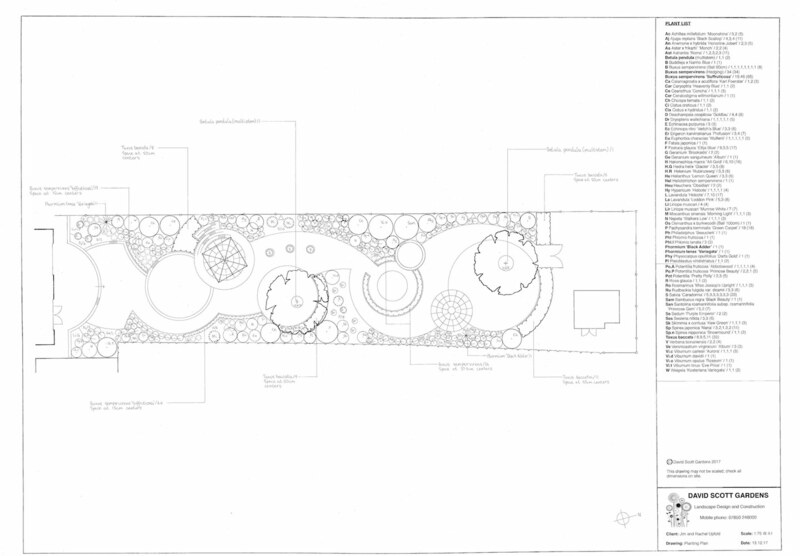 Produce a planting plan of the new garden in pen and ink on tracing paper, detailing the name, position and quantity of each plant; this drawing can then be duplicated as required for the purposes of a working drawing. For a free estimate and advice on individual features or entire garden schemes, please get in touch.